We thought you might still be tired from an exciting weekend and therefore have an exquisite espresso for you today! Mike Haddad, Montréal’s sonic story teller, created the ultimate espresso blend: bold and balanced, with caramelly sweet finish, and, the “holy grail” of a good espresso, a rich layer of crema floating on top! Born and raised in the French speaking part of Canada, Mike has been mixing for few years now. Inspired by all cultures, he is curious about exploring all sounds, and playing a more diverse range of tracks. 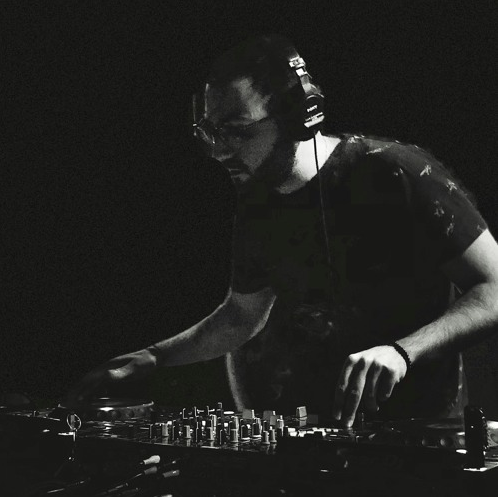 Raised on classic hip hop, he has only dived into electronic music in the past few years. The genre has satisfied the craving for driving, grooving melodies. Developing a passion for moving dance-floors, he uses DJing as a creative outlet; a means to tell a story. Obsessed by the deepest of sounds, his goal is to transport his listeners; through his evolving mixes. We 100% felt this in Mike’s mixes and are happy to welcome him on board.